Eligibility Criteria for SME (small and medium enterprises) or MSME (micro small and medium enterprises) loans. Banks offer various types of business loans targeted at SME customers for managing their working capital and other business funding requirements. 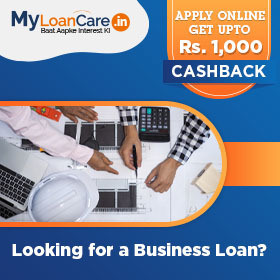 These loans are designed keeping in mind various situations in which a SME may require financing such as to buy machinery and raw material, meet their working capital requirements and/or buy other fixed assets. You open a current account with your bank to manage your daily banking transactions. You are allowed to withdraw and deposit money from the current account as and when funds are available thus allowing enterprises to manage their short term working capital requirements on an ongoing basis. Banks also offer an overdraft facility on your current account to allow you to over-draw up to a certain limit and hence help you meet any short term mismatches in your working capital finances. Who should opt for Current Account Facility? A SME enterprise can avail a cash credit facility with a pre-approved limit to manage its seasonal, urgent and unplanned working capital financing requirements. SMEs are allowed to borrow and repay within a pre-approved limit thus allowing them to meet short term working capital loan requirements on an ongoing basis. The SMEs can utilize the funds withdrawn for business purposes such as purchasing raw material, power and fuel, buying stocks etc. Why should a SME opt for Cash Credit Facility? Account requirement You will be required to open separate Cash Credit Account with bank to avail CC Facility You can avail overdraft facility on your existing current Account . If your business runs on credit and bills receivable constitute a significant proportion of your current advances or working capital, then you have the option to discount your bills receivable with banks and release liquidity. Banks typically accept bills drawn by you on your customers and pay you immediately after deducting some commission or discount. The Bank presents the Bill to the borrower's customer on the due date of the Bill (End of tenure) and collects the total amount from your customers. Clean bill discounting – Clean bills discounting is offered on bill of exchanges issued by creditworthy customers and hence, require no supporting documents in addition to the Bill of Exchanges. Clean Bills Discounting can be availed by SMEs that supply to large, reputed and creditworthy corporate. Why should a SME opt for Unsecured Business Loan? Credit Guarantee Fund Trust for Micro and Small Enterprises scheme has been launched by Ministry of Micro, Small and Medium Enterprises to guarantee loans extended by commercial banks to micro and small enterprises (MSEs). 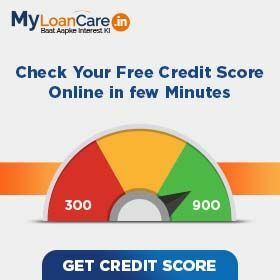 Under the schemes, existing or new MSEs are eligible to get Collateral free loans up to Rs. 1 Crore backed by a guarantee provided by CGTMSE. Why should a SME opt for CGTMSE Scheme? Larger organizations while entering into a working contract with SMEs look for additional comfort on the financial strength of SMEs and their ability to honor the contracts. To meet this requirement, Banks provide a guarantee on your behalf to third parties like government, quasi government and corporates. This guarantee is an assurance from the bank to pay a certain sum of money, to the third party (beneficiary), if in case you fail to perform a contract. Why should a SME opt for Letter of Bank Guarantee? A letter of credit is an assurance by a bank to pay one party on behalf of another party. At your request the bank will issue a letter of credit to your seller or supplier, guaranteeing payment against the supplies or raw material sold by the vendor to you. The letter of Credit will be honored under instructions of the parties, if the supplier has compiled with the condition regarding quality, quantity, price, date of dispatch, etc. Letter of Credit is mostly used in international trade. If you are an importer, and have to deal with unknown foreign suppliers, then they will require payment assurance for doing a business transaction with you. Banks will help you to procure goods at a cheaper rate and at easy terms. Why should a SME opt for Letter of Credit? You can avail Term Loans facility for the purpose of capacity expansion, capital expenditure and for buying fixed assets. Banks may a create charge on the fixed assets that are bought by the loan amount. Banks may also require a collateral security, for granting a secured term loan. Loans against the collateral of residential, commercial or industrial property are the most popular secured term loans for SMEs. Why should a SME opt for Secured Business Loan? If you are an infrastructure or a construction company, you may avail a Construction Equipment Loan to finance the purchase of construction equipment against the hypothecation of the equipment purchased. A wide range of construction equipment which are manufactured by large reputed firms such as L&T, Komatsu, Caterpillar are financed by several banks and NBFCs. A few of the popular equipments that are financed by lenders include excavators, tipper/ dumpers, transit mixers, cranes (Pick N Carry, Heavy Duty, Tower & Derrick), wheel loaders, compactors, road rollers, pavers etc. Why should a SME opt for Commercial Vehicle Loan?